In the past we’ve covered a bunch of tricks that can help you save money online, such as using the envelope method 7 Tricks That'll Help You Waste Less Money Online 7 Tricks That'll Help You Waste Less Money Online Who needs willpower when you can trick yourself into spending less money online? 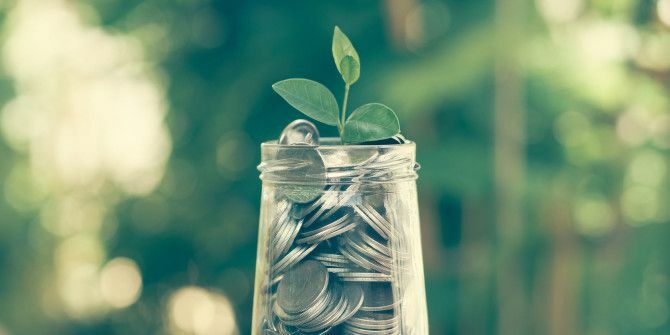 Read More , killing the early adopter mindset 5 Genius Money-Saving Tricks You Probably Didn't Know 5 Genius Money-Saving Tricks You Probably Didn't Know Sometimes it seems that no matter how much money we earn, we never have enough. How does this happen? And how do you fix it? Read More , and making full use of your credit card benefits How to Use Your Credit Cards to Save More Money How to Use Your Credit Cards to Save More Money Credit cards are usually seen as dangerous and a potential waste of money, but they can also help you save a lot of money if you use them correctly. Here's how. Read More . But here’s a trick you may not have heard: converting prices to hours of work. Let’s say your wage is $10 per hour and you want to buy the Amazon Echo (UK), which costs $180. One helpful way to put things in perspective is to think of the Echo’s price as equal to 18 hours of work. Sounds like a lot, right? Are you willing to give up that much of your life for it? Maybe, maybe not. Actually, it’s worse than that. If your rent is 30 percent of your income, your loan payments are 20 percent, and your effective tax rate is 10 percent, then 60 percent of your wage is dedicated to fixed costs — which means you should think of your time-value as $4 per hour, not $10. Now the Echo’s price is equal to 45 hours of work. Ouch. Imagine how much money you’d save if ALL of the prices you ever saw on the web were displayed as “required hours of work” instead of dollars. Wouldn’t it be awesome to put every purchase into perspective before splurging all of your hard-earned cash? If so, you should install the Time Is Money extension for Chrome. Once installed, you can either enter your hourly wage or your annual income in USD, EUR, GBP, CAD, or AUD. Remember, for it to be super effective, you should adjust your wage/income for all the fixed costs that come out of every paycheck. Once it’s set up, dollar prices on the web will be displayed with the time equivalent next to them (as shown in the screenshot above). By default the extension assumes a 40-hour workweek, but you can disable that in the extension settings to get straight-up hours instead. If you prefer a web-based calculator that’s a bit more advanced but also more accurate, you can try the Labor Cost Calculator instead. The concept is pretty much the same. Was this as much of an eye-opener for you as it was for me? Is this going to revolutionize the way you shop online? Share your thoughts with us in the comments! Explore more about: Browser Extensions, Google Chrome, Online Shopping, Save Money.